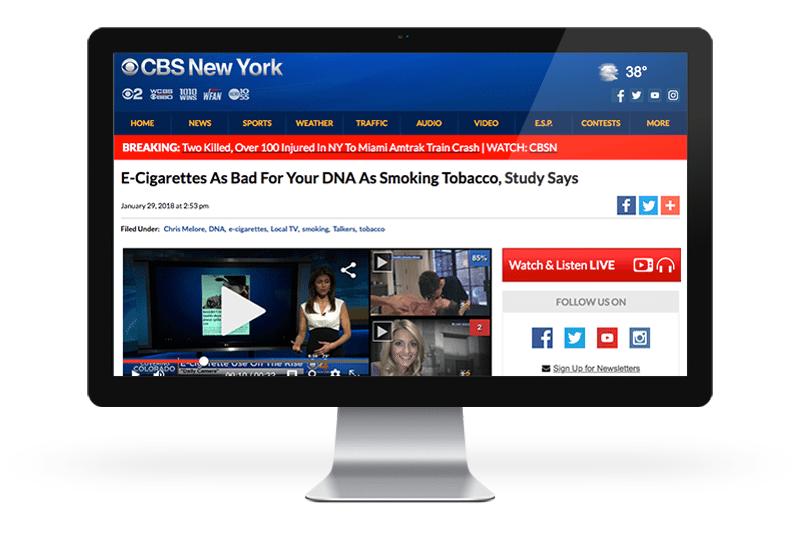 Sometimes bad science and lazy journalism combine to create a perfect storm of bad news for vapers...and smokers. We've all seen it happen before. A study comes out with a flimsy, speculative conclusion and before all the sensible commentators get the chance to put it into context, it’s turned into scary headlines plastered across newspapers all over the world. Devoid of nuance and balance, it serves only to create and deepen the fear of vaping. 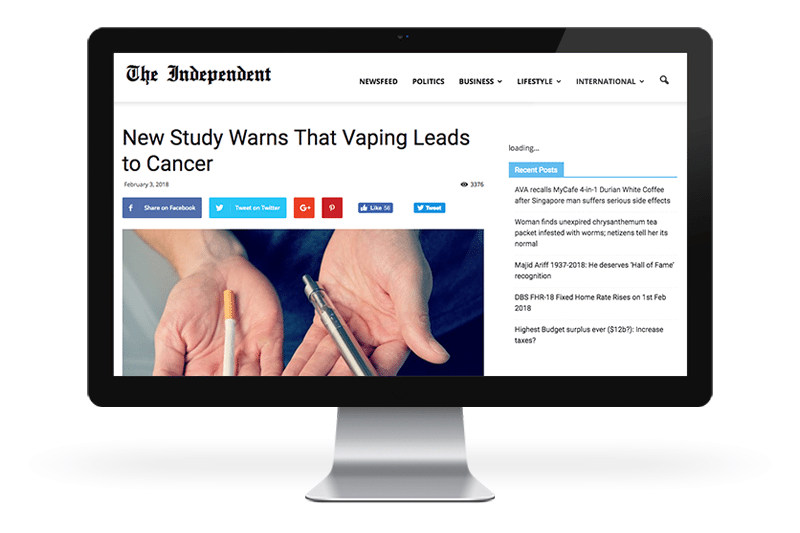 The paper and the media furor that followed is a great example of just how this merry-go-round works, and looking at it in detail offers some insight into what exactly goes wrong so often, and why so many people are terribly confused about vaping. The researchers looked at the effects of e-cigarette vapor on mice, as well as testing the impact of nicotine and a nitrosamine (one of a group of carcinogens found in tobacco, and in much smaller quantities in vapor and other nicotine products) on human cells in a dish. The paper focused specifically on DNA damage from vaping, with a comparison to filtered air but no comparison to smoking. Since it’s well-known that DNA damage is linked to cancer, this isn’t at all an unreasonable thing to study. But there are crucial limitations to this approach. There is a big difference between a mouse and a human – which shouldn’t surprise you – so while mice are a good starting point for research, results from them are far from conclusive. The same goes for cells in a petri dish. While you have those same kinds of cells in your body, you have a lot more than that in your body, so you can’t just assume that the reactions you see in a petri dish will tell you exactly what will happen in a living human body. The results showed that mice exposed to e-cigarette vapor had more DNA damage in their bladders, lungs, and hearts than mice not exposed to vapor. The body’s mechanism for repairing the lung damage was less effective too. The results on human cells were similar: nicotine and the nitrosamine caused DNA damage in the lung and bladder cells. As with the mice, the combination impacted the body’s mechanism for fixing the damage too. They present the results alongside a theory that nicotine is converted to nitrosamines in the body when consumed, and so try to direct the blame at nicotine itself. This is highly questionable, because nicotine itself is not known to be a carcinogen, and other studies of nicotine users show no link with cancer. But aside from that there are no major issues with the results obtained in the study as presented so far. This is where things get bad. Firstly, they say “e-cigarette smoke” throughout the paper, which is factually incorrect and clearly misleading. Smoke is produced from combustion, and vaping involves no combustion. The clue is in the name: vapor (or technically aerosol) is not smoke. The authors mention that nicotine nitrosation occurs in humans, transforming nicotine into nitrosamines. If that was the case, we would have seen high levels of nitrosamine biomarkers in the urine of vapers. Instead, the studies show 97.5% reduction in nitrosamine biomarkers in vapers compared to smokers. Similar reductions are observed in former smokers who use NRTs. So, even if we assume that nicotine nitrosation is happening (which is under dispute), still the levels of nitrosamines in vapers is so low that I am not sure if they confer any risk. So the big cause for concern – when presented without comparison – is actually a reassuring demonstration that vaping is likely to be substantially safer than smoking. Arguably the worst thing about the presentation of the results is that the authors acknowledge this reduction in the paper itself. This is why a comparison with the effects of smoke would have been useful, but at the very least that nitrosamine figure should have been given more emphasis. The overwhelming majority of regular vapers are smokers or ex-smokers, and they need comparative information about risks rather than absolute risk information. The authors present the data as if the choice is between vaping and nothing, rather than the choice most vapers make: between vaping and smoking. They say in the discussion section that the reduction in nitrosamine biomarkers is less in vapers than in non-smokers and they cite a study by Shahab et al. published in Annals of Internal Medicine. That study did NOT include non-smokers who did not use nicotine. They included non-smokers who were e-cigarette users and non-smokers who were NRT users. In fact, vapers had lower levels of nitrosamine biomarkers compared to NRT users. In other words, their reference doesn’t say what they claim it does. This is the type of thing that makes you question the process of peer review. In reality, the evidence states that nitrosamine levels in vapers are actually lower than people who just use nicotine patches or gums. Any concern raised about the effect of nitrosamines on vapers in the real-world based on this study would apply even more so to people using pharmaceutical nicotine-containing products, if there is cause for concern at all. Even this doesn’t fully capture the issues with their interpretation. As noted in the previous section, results taken from studies in mice and disembodied cells cannot be blindly assumed to apply to real-life humans. And of course, other studies show that vaping is much, much safer than smoking. So we’ve looked at the study in proper context, and how scientists have responded to the results. If this was the end of the story, there would be no panic, no fear, and no opportunity for deceptive headlines. But this is never the end of the story. There’s only one conclusion you’ll draw from this: vaping is bad, just like I thought it would be. In reality, most people who see a headline show up on their news feed don’t bother to investigate further. But if they did, it wouldn’t help much. 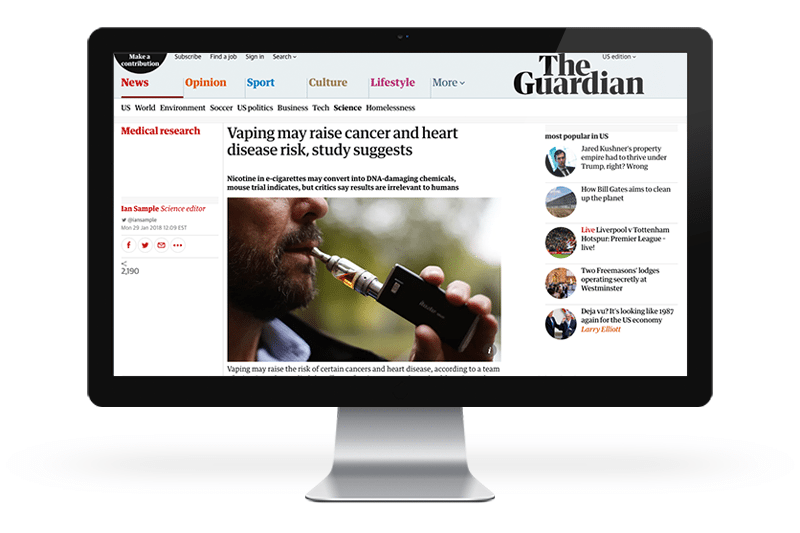 Only the Guardian’s article gave considerable weight to the study’s problems. But none of these stories included the key point that the chemicals assumed to cause this risk have been shown to be present at 97 percent lower levels in vapers than in smokers. Sky News and the Metro gave a token mention of the Royal College of Physicians and Public Health England reports right at the end of their articles. The press release played up the fear angle, and the news media took it and ran with it, barely stopping to put it into context as one piece in a much larger puzzle. But the story isn’t dead yet. 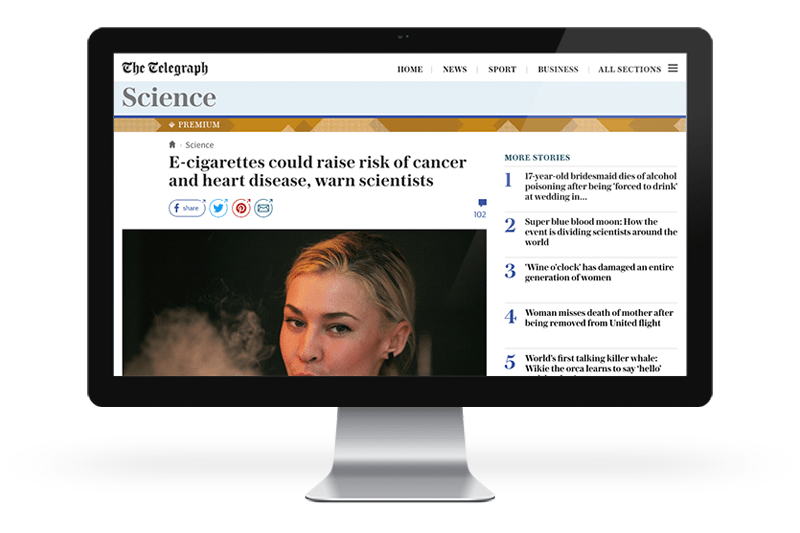 When somebody wants to paint vaping as a danger in future, journalists can link to one of the misleading headlines and even academic researchers can cite the still-misleading study. Smokers confronted with the claim have little hope for getting to the bottom of it and finding its flimsy foundation. They’d basically have to either find a post like this – which is from a pro-vaping site they will undoubtedly expect to be biased – or go and look at the actual study themselves. The easiest thing to do is just believe it. So it will go largely unchallenged. It will be repeated as much as it’s useful to repeat it. It becomes a tool of propaganda, and that tool is used to beat smokers and vapers over the head. The story is that you shouldn’t try vaping when the reality is their own results illustrate the reasons you should. 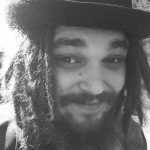 Lee is a writer and vaper from the UK. He quit smoking (without intending to) in 2012, and now spends his time writing about the conflict between science and ideology in the vaping debate. He’s a firm believer that smokers deserve the facts on tobacco harm reduction without the fearmongering. He probably drinks too much tea.